Self-Advocates in Leadership (SAIL) is a statewide coalition in Washington State of people with developmental disabilities. 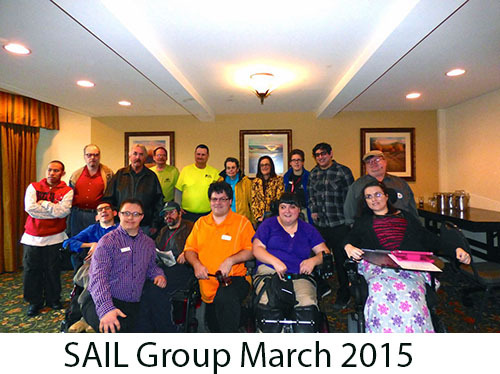 SAIL Coalition strives to shape public policies that affect the lives of people with developmental disabilities. The 2015 Session is now in the books and can you believe it there was no need for a special session. Please be sure to thank your legislators for all their hard work this year. Check out the links below for all the details. If you would like to contact SAIL just go to the Contact us page.